We will once again be hosting another fantastic Craft Fair in the entrance area of Bulwell Tesco Extra. We aim to showcase a wide range of handmade goodies and crafts from artists and makers local to Bulwell as well as from the wider Nottinghamshire area. If you would like to take part in our 2018 craft fair, please get in touch! 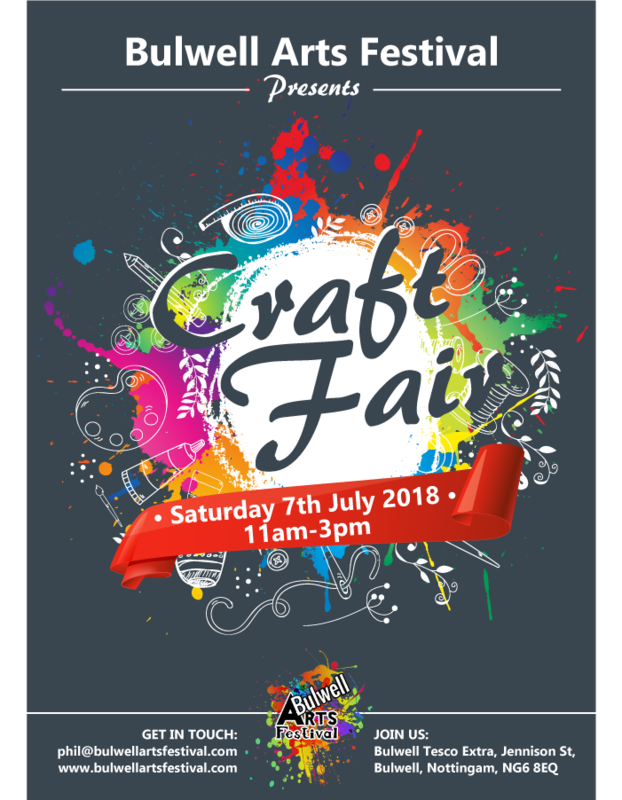 This years Craft Fair takes place on Saturday 7th July 2018 11am- 3pm, Tesco Bulwell Extra. Pop along, show your support to our makers, enjoy a cuppa in the cafe and at the same time, pick up a pint of milk! See you there!